Bock Optronics looks forward to welcoming you to Photonics North 2019! This national event offers a diverse mix of live technology on display, with unrivaled keynotes, panel discussions and technical sessions. CMTS includes several signature networking events where the industry comes together to connect, share and celebrate manufacturing. 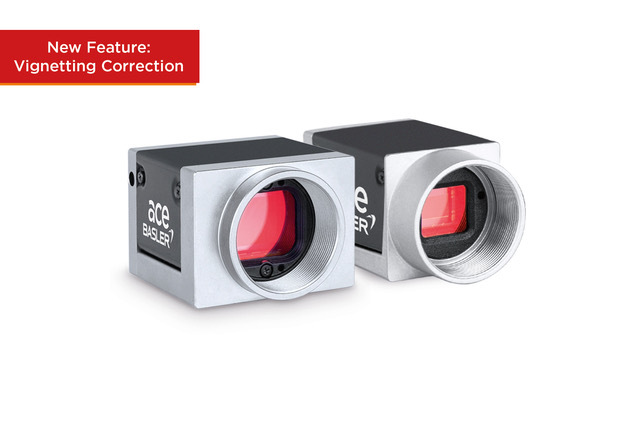 The first models of the Basler MED ace camera series, produced in accordance with DIN EN ISO 13485:2016, have now entered series production (2 MP and 5 MP resolution). 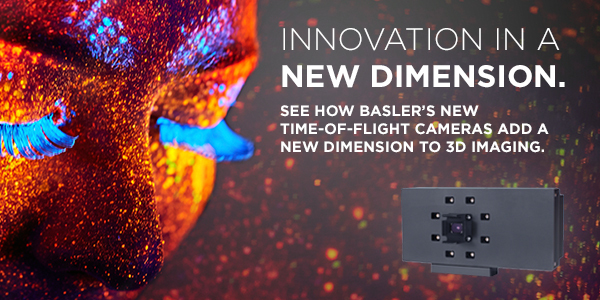 The camera series includes Basler’s first cameras specifically designed for Medical & Life Sciences. They are also the perfect answer to Sony's discontinuation of CCD sensors. All models are equipped with the best CMOS sensor technology, which scores in terms of image quality and lower costs compared to classic CCD cameras. 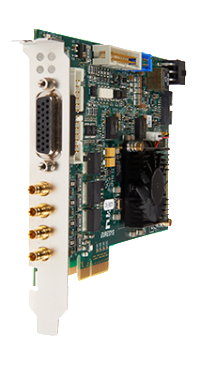 Featuring Sony's Pregius sensors or the PYTHON sensors from ON Semiconductor, the Basler MED ace achieves up to 164 frames per second and a resolution of up to 20 MP. The excellent performance is underscored by pixel sizes up to 5.86 µm, a low temporary dark noise of a minimum of 2e- and sensor sizes up to 1.1 inches. 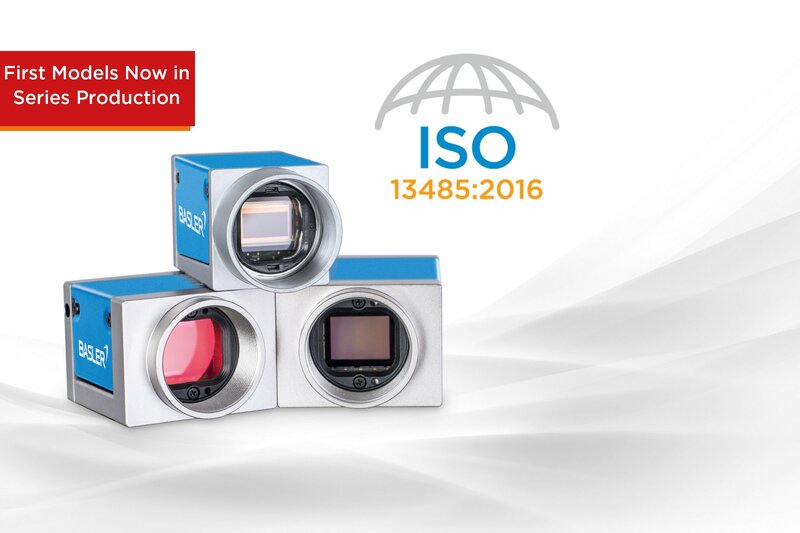 With certification in accordance with DIN EN ISO 13485:2016, Basler now provides additional quality standards for the production, distribution and service of digital cameras as well as for placing them on the market. International manufacturers of medical devices benefit from an effective quality management system with clearly defined standards. Reliable product quality due to validated and monitored production, traceability and comprehensive change management reduces effort required for audits, product documentation and support in complying with European standards. The Basler MED ace cameras also stand out with their unique Basler MED Feature Sets: Easy Compliance, Brilliant Image, Perfect Color, Low Light Imaging, High Speed and Industrial Excellence. The Feature Sets combine market-leading hardware, firmware and software features. Basler developed them addressing the high imaging demands in Medical & Life Sciences to reduce customers’ development efforts. Basler’s 6 Axis Operator and the Color Calibrator provide full control of the image’s color appearance, which is highly relevant for applications in ophthalmology or microscopy. Basler’s PGI and the other new, automatic image functions deliver supreme image quality in minimal time on color and monochrome cameras. Four new ace U models with the rolling shutter IMX183 CMOS sensor from the Sony Exmor R series are expanding the portfolio of our most successful camera series, the ace. The cameras offer a resolution of 20 megapixels with a 1″ sensor size and a compact design with 29 x 29 mm footprint. They feature frame rates of up to 17 frames per second. These qualities make the four new ace U models particularly attractive for the inspection of the finest structures, such as those in PCB or display production. Considering the constantly increasing resolutions of modern displays, the latter requires continuously higher resolutions in the inspecting cameras. The four new high-resolution ace U models offer Basler’s unique PGI feature set for color and monochrome cameras, which corrects unwanted artefacts. This provides you with a particularly good evaluation on a pixel level. As a result, we enable a detailed inspection of high-resolution displays with excellent image quality at a very attractive price. The innovative BI (back-illuminated) sensor technology of the Sony IMX183 provides outstanding sensitivity and low noise at a small pixel size of 2.4 µm. With this particularly light-sensitive sensors, the four new ace cameras offer excellent image quality even in low light conditions. The traffic sector is another area for potential applications, since the monitoring of multiple traffic lanes often requires only a single ace U 20 MP camera, as is the land survey field, in which light, high-resolution cameras are needed for recordings of large or difficult to access areas from the air. All four new ace U models are available with a GigE and USB 3.0 interface and include the PGI feature set, the unique combination of 5x5 Debayering, Color-Anti-Aliasing, Denoising and Improved Sharpness. The GigE models also excel with high-performance GigE Vision 2.0 features such as PTP. Our pylon Camera Software Suite ensures the fast and simple integration of the ace cameras. ARE NOW READY FOR ORDER! Intel® Apollo Lake Pentium® Platform! What makes the POC-300 series stand out? The POC-300 series features the latest Intel® Apollo Lake Pentium® N4200 and Atom™ E3950 quad-core processor which offers a faster more powerful performance than previous generations. Its ingeniously mechanical design combines a DIN-RAIL mounting chassis with front-access I/O in an ultra-compact enclosure and is equipped with I/O features such as GbE, USB 3.0/2.0, COM ports and mSATA storage in a space saving footprint that measures approximately 2.25 x 6 x 4.5 in or 5.6 x 15 x 11 cm. The POC-300 series also features Neousys' MezIO™ interface for easy function expansion via versatile MezIO™ modules such as ignition control/management, COM ports and digital input/output (DIO). 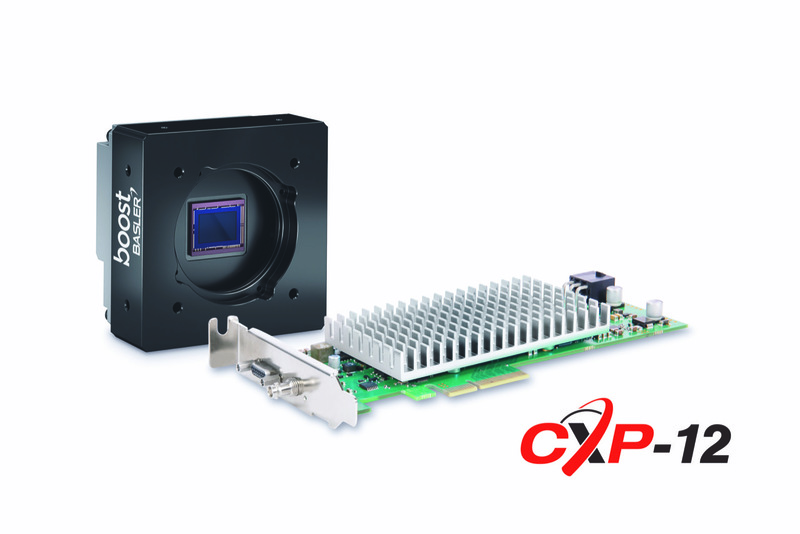 With our proven fan-less design, the POC-300 series withstands harsh environments making it a compelling fan-less controller with a wide operating temperature range of -13°F to 158°F or -25°C to 70°C making it beneficial for various industrial applications. 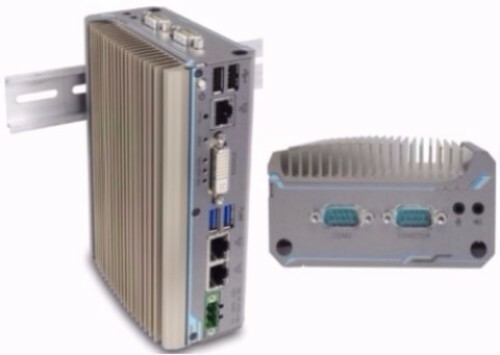 The POC-320 model comes with 1 GbE and 2 PoE+/GbE ports and the POC-330 supports 3 GbE ports to power cameras for vision related applications such as in-vehicle machine vision or surveillance. Both models are available for order now! Effective April 1st, 2017 Ricoh Industrial Solutions Inc. (RINS) Japan has restructured its North American distribution network for their factory automation (FA) lens products. Bock Optronics has been appointed the Certified Distributor in Canada for Ricoh's quality, high performance factory automation (FA) lenses. Ricoh Industrial Solutions Inc. manufacturers a wide selection of quality lenses for a wide range of applications. Machine vision, robotics, visual inspection, surveillance are but a few areas which Ricoh FA lenses products are ideally suited. Standard VGA, 2 megapixel, 5 megapixel, 9 megapixel, linescan and UV lenses form a comprehensive offering to meet the lens needs of many imaging applications. With over 30 years of experience in the industry and with Ricoh FA products (formerly Pentax), the knowledgeable and qualified staff of Bock Optronics can help you select the right lens solution for your project. For further information on Ricoh FA lens products or assistance in finding the right solution for your needs, contact Bock Optronics! Within Canada, call 1 (800) 762-1570 or (416) 674-2804 to speak with a vision specialist. You can also contact us by email at sales@bockoptronics.ca. •	Multipart image, comprised of range, intensity and confidence maps. The Basler ace family is continuing to grow: Equipped with the latest PYTHON sensors from ON Semiconductor and Sony's IMX174, IMX249, IMX250, IMX264, IMX252 and IMX265 sensors from the pregius series, the new ace models leave nothing to be desired. In particular, the combination of small design and large, high-performance CMOS sensors with the most modern global shutter technology and resolutions of VGA to 5 megapixels makes the new ace models unbeatable. - Including the powerful in-camera image optimization PGI, consisting of a unique combination of 5x5 Debayering, Color-Anti-Aliasing, Denoising and Improved Sharpness. 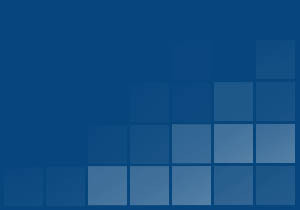 Click here to view Basler products.